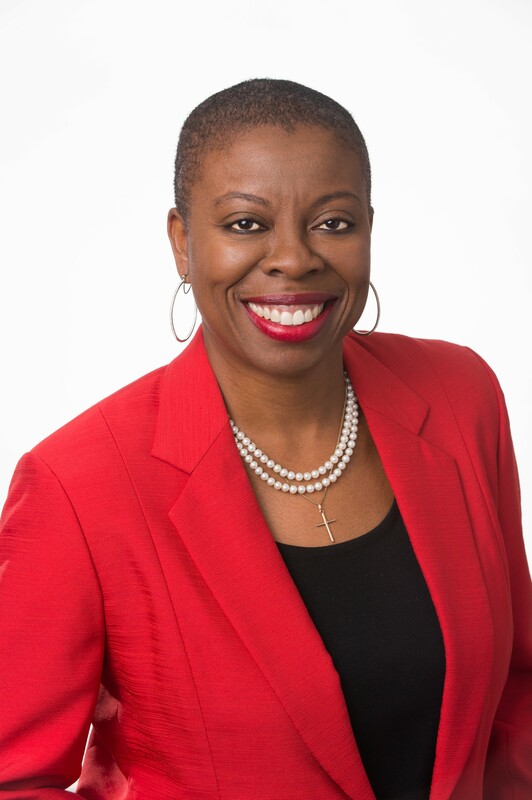 I had the pleasure of interviewing Tracey Brown, newly appointed CEO of the American Diabetes Association, the nation’s largest voluntary health organization and a global authority on diabetes. 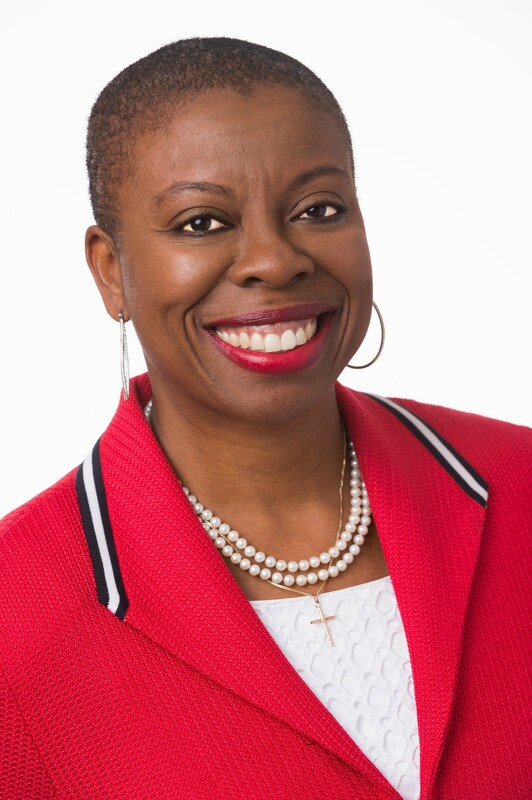 Tracey joined the ADA after serving as senior vice president of operations and chief experience officer at Sam’s Club, a division of Walmart, Inc., where she was responsible for creating meaningful member experiences, directing member strategy, marketing and branding, and membership operations. 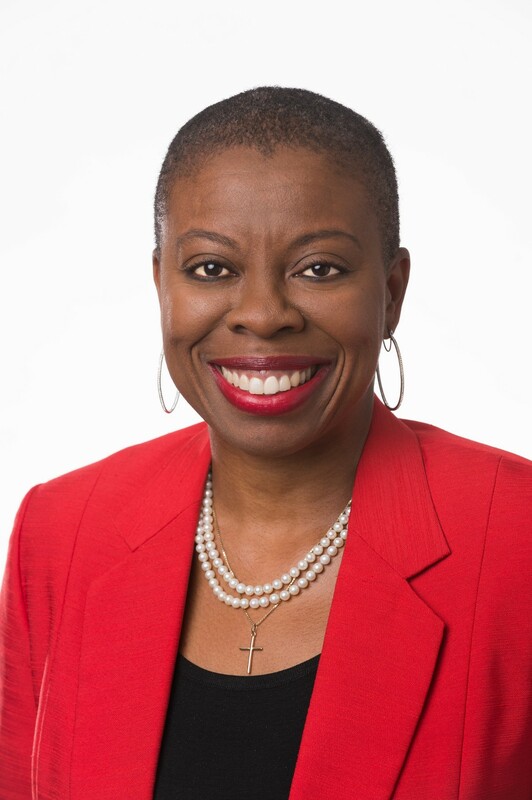 She has more than 25 years of experience in marketing, business development, analytics and customer loyalty, and Tracey actually has type 2 diabetes, making her the first ADA CEO to actually have diabetes. A routine checkup during pregnancy 14 years ago took me to the hospital, an IV with insulin and a gestational diabetes diagnosis. For 80% of women with gestational diabetes it goes away after giving birth, I was in the 20% where it didn’t go away. I left the hospital with my beautiful baby girl and developed type 2 diabetes. I spent a long time in denial, and it wasn’t until my daughter asked me if I was going to die from diabetes that I became inspired to get myself together, consistently manage my medication, and develop better habits around my nutrition and regular exercise. It led me to where I am today — at an A1C of 6 percent and fewer medications, and determined to thrive with diabetes. It also led me to accept the role as the first CEO of the American Diabetes Association who lives with diabetes, and an intense commitment to help educate the world on diabetes, how to prevent it, and just as important, how to thrive in life if you have it. I’ve changed my behavior, my nutrition and my lifestyle to effectively manage my diabetes — so I can be present for my family and to reduce my risk of complications. I am determined to thrive with diabetes, every single day. I am also determined to awaken the world — diabetes is an incredibly complex disease that, without an effective and achievable diabetes care plan, can lead to serious and sometimes deadly complications — the most common of which is heart disease, including heart attack and stroke. I’m hoping to lend my unique perspective to make sure everyone is well informed so that we all can move together to once and for all find a cure for diabetes. First, our Pathway to Stop Diabetes program is a bold, innovative initiative that is making strides to radically transform diabetes research. Pathway launched in 2013 and has awarded more than $47 million to 29 leading scientists to pursue transformative diabetes-related research. Each awardee is selected from a highly competitive applicant pool of only one nominee per institution; approximately 100 applications are received each year. This program is designed to find a new generation of brilliant scientists at the peak of their creativity, then provide them with the freedom, autonomy, and financial and professional resources to set them on the road to breakthrough discoveries. With 29 currently funded Pathway scientists, the program represents the full breadth of diabetes research and is achieving key goals. Pathway and its unique funding model creates unmatched opportunities for scientists to impact the lives of millions of people living with or at risk for diabetes. Second, I’m very interested in moving the ADA forward and exploring new directions and strategies as it relates to education. This includes tapping into technology trends, to take advantage of new platforms, new ways to reach people, new types of partnerships that can bring critical thinking and research, along with new ways to raise money for the organization, and most important, new ways to educate people on diabetes and prediabetes. Currently an estimated 1 in 3 people, or nearly 90 million Americans, have prediabetes, and 90% of them don’t know it. We want to use every opportunity, every platform, every technology available to us to awaken the world and join together to fight this epidemic. We can raise awareness of the seriousness of this disease, we can get tested, we can advocate and support people in our communities, we can drive education on how to manage diabetes. Third, as the CEO of the world’s leading authority on diabetes, and as a mom living with type 2 diabetes, I can tell you that I am going to do everything in my power to help increase awareness and education, and to improve the lives of those living with the disease until we find a cure. My purpose and passion is to help inspire and empower people who have diabetes. Whether they are living with type 1 or type 2, we want people to be the best version of themselves possible. I’m encouraging everyone to follow me on this journey, as the CEO and as a mom and as someone who has diabetes and is thriving with it, I want people to follow me on Facebook, on LinkedIn, and soon on other social channels and join me as fight diabetes together. So how exactly does the ADA help people? The ADA leads the fight against the deadly consequences of diabetes, and we fight for those affected by diabetes. ● We fund research to prevent, cure and manage diabetes. ● We deliver services to hundreds of communities. ● We provide objective and credible information. ● We give voice to those denied their rights because of diabetes. Advocacy also plays an integral role in our mission. We fight for people with diabetes in Washington, DC, in state capitols and in our courts. Diabetes Advocates around the country fight to increase funding to prevent, treat and cure diabetes; improve access to health care and eliminate discrimination against people with diabetes at school, work and elsewhere in their lives. Additionally, we partner with many different leading organizations to enhance consumer awareness, patient education, healthcare provider training, and quality improvement measures for clinics, practices and hospitals treating people with diabetes. As I’ve said, I’m committed and passionate about helping as many people as possible, whether they already have diabetes or need to get tested to learn the best way to live and thrive with disease. The best example where I helped a great deal of people was with the Kiss a Pig campaign that I led prior to my joining the ADA. I was anxious to use my platform, and spread the gospel through the hallways of Walmart and Sam’s Club in Northwest Arkansas, to drive awareness and education around diabetes and the health epidemic facing millions globally. I went out of my way to really put my life online, creating a series of videos detailing how I manage my diabetes — my nutrition plan, my lifestyle for working out and exercise, how my family is involved as my constant support system. All told, I raised more than $300,000 for the Kiss a Pig campaign, all of which was poured back into community outreach, education and research. As a result of the campaign, more and more people came up to me to let me know they had diabetes, or were prediabetic, and inspired to change their lifestyle. One individual in particular in the company came up to me and in confidence, shared that they had been diagnosed with diabetes, and their spouse had been diagnosed with prediabetes. They were a little scared, and not sure what to do, but felt comfortable talking about it with me and asking me for help and advice. I shared more of my story, my knowledge and how I handled things when I was first diagnosed with diabetes. I quickly became this person’s accountability partner, and actively watched and participated to help them change their lifestyle. I’m thrilled to report that their A1C is now at a controllable level and they are thriving. This experience has convinced me to continue to put myself and my life out there to help educate and motivate others. I want my role as CEO of the ADA to be defined by how many people I’m able to reach and impact. ● Diabetes kills more Americans each year than breast cancer and AIDS combined. ● Every 21 seconds someone in the US is diagnosed with diabetes. ● Diabetes contributes on average: 1 stroke every 2 mins, 1 case of heart disease every 80 seconds, 1 case of kidney failure every 10 mins, 1 lower limb amputation every 5 mins. My rallying cry is for all of us to wake up, and collectively we can each do something to fight this epidemic! We can raise awareness of the seriousness of this disease, we can get tested, we can advocate and support people in our communities, we can drive education on how to manage diabetes. The first thing that everyone can do is to get tested and encourage everyone around you to get tested. Currently an estimated 1 in 3 people, or nearly 90 million Americans, have prediabetes, and 90% of them don’t know it. Testing for diabetes occurs in a doctor’s office, health clinic or at home via a simple blood test. The tests measure the amount of sugar in your blood, or your blood-glucose level. Just because you eat right, exercise and don’t have a history of diabetes in your family is no reason not to be tested. Sometimes, people with diabetes don’t exhibit any symptoms. The ADA offers a Diabetes Risk Test to help people determine whether they are at risk for developing type 2 diabetes. Answering a few simple questions about weight, age, family history and other potential risk factors can be the first step to better health. To learn more and to take the test, click here. 1. Change the Conversation — It’s not lost on me that most people are surprised to learn I have diabetes because they are conditioned to think that anyone who has the disease is obese. This is simply not true, and the ADA, working with our partners and healthcare professionals everywhere, must flip the script. Words matter. Lazy, unmotivated and poor control need to be replaced by words associated with management of the disease, like quality of life and goals. Words and pictures in the media that further the wrong thinking need to be replaced with imagery that reflects a more accepting, sympathetic and educated society. Those who have diabetes or are close to someone who does, as well as members of the media, should continue doing their part to help in the education effort. 2. Recognize Milestones and Achievements — Those that have the disease often suffer in silence. They work hard to manage the disease, to varying degrees of success. People who have diabetes need positive reinforcement, they need to know you’re thinking of them and are vested in their health. 3. Encourage Community / Contact — People living with diabetes often feel alone, isolated and without community. We need to bring these people back in to our communities, show them more compassion, and help them normalize the disease in much the same way we’ve done with other diseases and medical conditions. And third, we need to simply devote more money to fight diabetes and work to find a cure. This needs to occur at every level — in our communities, at the state and federal level, and from existing and potential corporate partners. Comparatively, diabetes does not get the funding when compared to other serious diseases, despite the fact that nearly half of American adults have diabetes or prediabetes; more than 30 million adults and children have diabetes; and every 21 seconds, another individual is diagnosed with diabetes in the U.S. When I think about those who helped shaped who I am as a leader, and helped me get to where I am, the list and long. And because I’m constantly learning, that list continues to grow. But at the top of my list, there is one person who, regardless of my title or position or responsibility, remains at the top, and that’s my mother. My mother set an incredibly high bar for me, continually reinforcing accountability, even at a young age. She wanted me to understand responsibility, and to not rely on excuses when faced with obstacles or challenges. She demanded and rewarded excellence, and above all she instilled in me a pride to be fiercely independent and to stand on my own. Those attributes have helped guide me and my thinking throughout my career. I’m never intimidated when I’m the lone dissenting opinion in the room, and that instinct has helped guide and shape my journey to this point. 2. Impossible is made possible by faith, gift & strategy. This is what leaders do! 4. How you SHOW UP every single day as a leader is important … there are lots of eyes on you. There is something about coming together over a meal, that communal aspect of cooking, of sharing. Sure one on one can be enlightening, but since we’re talking hypothetical, let’s not stop at one person for a private breakfast or lunch. Let’s make it a bigger table! Seated to my left is Oprah Winfrey, the biggest name in entertainment and celebrity. Her experience in growing her business and her brand would be invaluable. Seated next to Oprah would be President Barack Obama. His experience of navigating our country out of financial crisis, and his humble approach to servant leadership would add a great deal to the conversation. Across from me, the greatest basketball player of this generation, LeBron James. As he extends his brand, business and basketball talents to the West Coast, his perspective on charity and social impact would help complement our discussion. To King James’ left would be Beyoncé, the voice of a generation, an unbelievable entertainer, entrepreneur, wife and mother. And last and to my right, Billie Jean King, a pioneer in women sports and herself someone who has lived her life with diabetes. Yes, that’s a lunch or a dinner that I’d remember for a long time. Right now, the best way to follow me is LinkedIn. I am quickly organizing several additional ways to follow me online, similar to my Kiss a Pig campaign that was so successful on Facebook. I’m also asking people to follow me on my journey at a very specific social media handle: @type2CEO. As a mom and a CEO who lives and thrives with diabetes, I’m asking everyone to join me and follow me on social media. This campaign gives me and everyone an engaging address on Instagram and Twitter, and I’m asking everyone to join me on these platforms as we create a call to action around diabetes education, testing and ultimately, finding a cure.